Making a Will should be on everyone’s to do list. We have all worked hard to build up and protect our wealth during our lives and we all want to ensure that our deceased estate is distributed to our desired beneficiaries (i.e. spouses, children, grandchildren, or as the case might be) and not some unintended beneficiaries. This is where making a valid Will on time (and implementing other estate planning measures, if necessary) is essential. A Will is basically a formal written document containing an expression of the Will maker’s wishes in relation to how they wish to have their deceased estate administered and distributed. 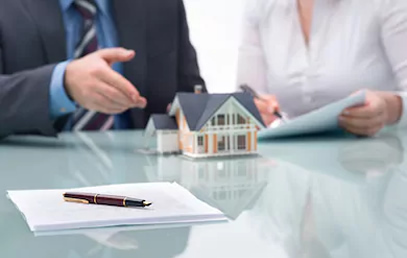 A Will can make bequests of specific property to specific beneficiaries (for example, in specie gifts which may possess some sentimental value, i.e. paintings, jewelry etc) or distribute the rest and residue of the deceased estate in shares or fractions to specific or a class of beneficiaries (such as all surviving children, grandchildren, brothers, sisters etc). A Will can also touch upon other matters such as establishing testamentary trusts to offer more asset protection and minimise certain risks (for example, a beneficiary may be at risk because they own a business which may be prone to litigation and attacks from creditors, or the beneficiary may be a professional that has a high risk profile, or involved in a relationship that may eventually lead to a matrimonial property dispute, or be minor to whom distributions may be best drip fed over time to avoid any lump sum benefits from being squandered immediately on receipt, or for certain tax purposes). A Will can also appoint testamentary guardians to take care of any minor children until they reach the age of 18 years. The important thing to remember is that if you pass away without making a valid Will, you are deemed to die intestate, meaning your deceased estate will be distributed in accordance with the Queensland laws of intestacy, and those distributions may not at all reflect your actual wishes. It is therefore important to make a valid Will on time. Making an Enduring Power of Attorney (‘EPOA’) is equally as important and is often made at the same time as a Will. Whilst a Will takes effect on death of the Will maker, an EPOA (which is a formal document) will take effect during the life of the EPOA maker (the ‘Principal’) either immediately on the making of the EPOA, at a specified future time or (most commonly) on the happening of an occasion, such as the Principal losing capacity to make personal/health and/or financial decisions for him or herself. An EPOA gives legal power to an individual (an ‘Attorney’) or several individuals, if you wish to appoint several Attorneys, to make personal/health and/or financial decisions on your behalf (i.e. where and with whom you will live, whether you work or undertake education or training, day-to-day issues like your diet and dress, whether to consent or withdraw consent to particular types of health care or medical treatment, paying your bills and taxes, selling or renting your home, using your income to pay for your needs or investing your money etc). The thought of losing capacity to make decisions for ourselves seems almost surreal, but it happens and in those circumstances, an existing and valid EPOA will ensure that your duly appointed Attorneys (which may include your spouse, family members or close friends etc) have the legal power to make personal/health and/or financial decisions on your behalf which are in your best interests.